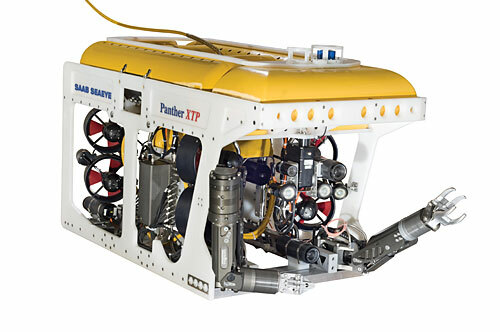 Flash Tekk Engineering has chosen the Saab Seaeye Panther XT Plus ROV as a key diving support vessel resource. Flash Tekk is a major diving equipment supplier for the international offshore industry worldwide and supplies diving systems and ROVs for Ultra Deep Solutions who operate ultra-deep diving and heavy construction vessels. Saab Seaeye say they are delighted that the Panther has been chosen to play an important resource role on this new generation of diving support vessels. Operators will benefit from the Panther’s proven experience in diver support and also its ability to perform a wide range of work and survey tasks. With its 10-strong thruster power and advanced system design it can accommodate a multiplicity of tooling in a compact light-weight package that will remain stable and highly manoeuvrable, even in strong cross currents.